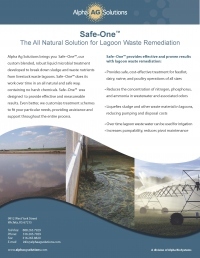 Alpha Ag Solutions brings you Safe-One™, our custom blended, robust liquid microbial treatment developed to break down sludge and waste nutrients from livestock waste lagoons. Safe-One™ does its work over time in an all natural and safe way,containing no harsh chemicals. Safe-One™ was designed to provide effective and measureable results. Even better, we customize treatment schemes to meet your particular needs, providing assistance and support throughout the entire process. 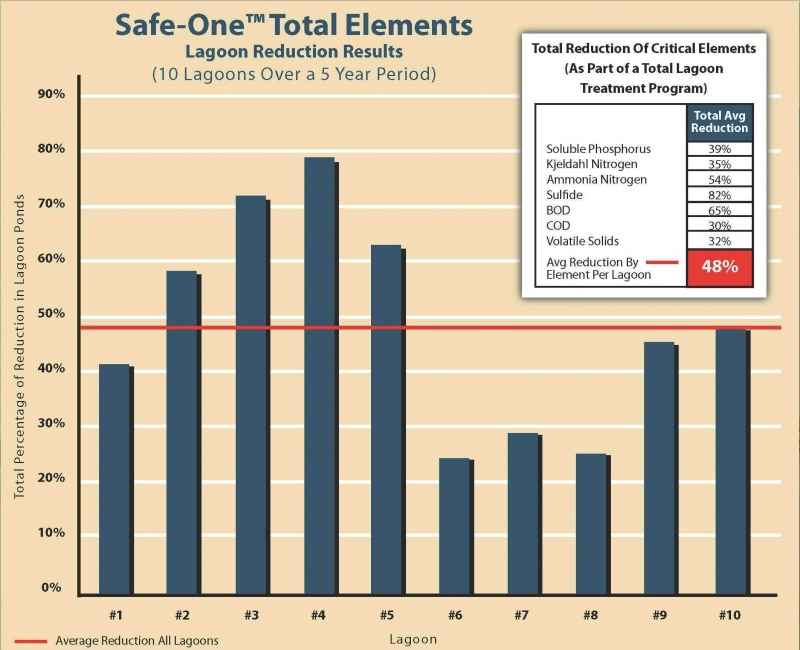 Safe-One™ Provides Effective and Proven Results with Lagoon Waste Remediation. Provides safe, cost-effective treatment for feedlot, dairy, swine, and poultry operations of all sizes. 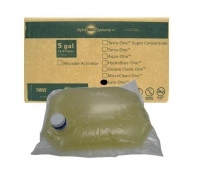 Reduces the concentration of nitrogen, phosphorus, and ammonia in wastewater and associated odors. Liquifies sludge and other waste material in lagoons, reducing pumping and disposal costs. Over time lagoon waste water can be used for irrigation. Increases pumpability, reduces pivot maintenance. Alpha Ag Solutions tailors and designs programs based on your specific needs and goals. We can deliver a complete turnkey solution to your operation. 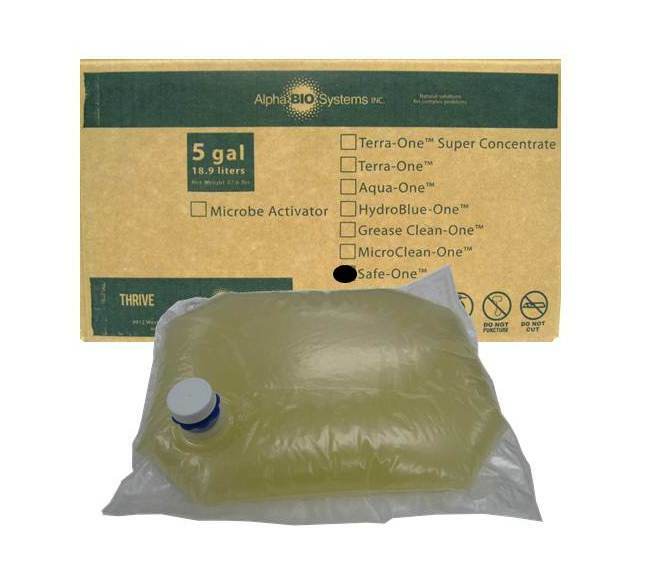 Our total solution package includes water testing and analysis, training, microbial treatment, and waste management equipment solutions. Alpha Ag Solutions administers a comprehensive and ongoing treatment plan focused on achieving short term and long term results. Ongoing monitoring and plan adjustments ensures an effective solution – think of Alpha Ag Solutions as your on-site partner in the management of your waste water lagoon. Please contact a representative for a custom quote 515-778-3141. Click here to view or print a virtual brochure.